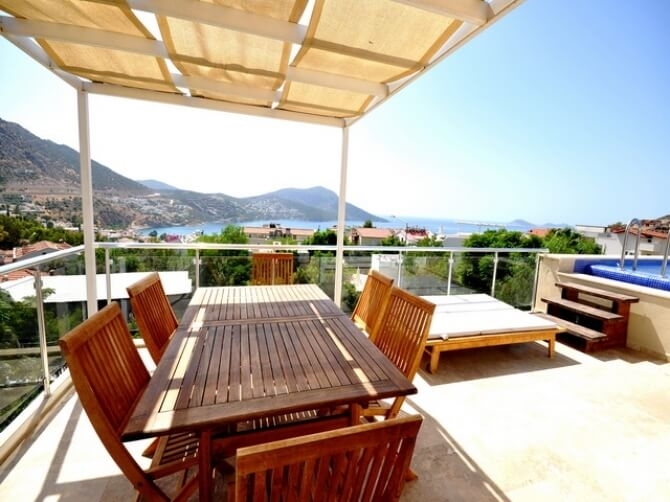 An amazing rooftop duplex apartment situated in Kalkan, this is a great option to buy for an investment or holiday home. 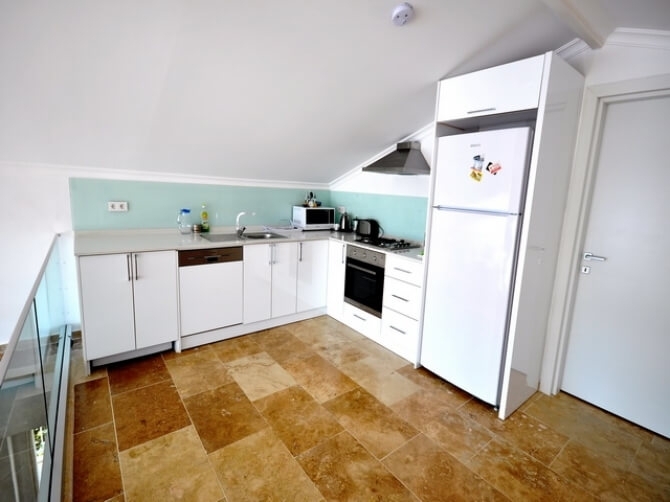 This duplex apartment can be entered by a private entrance, into a hallway which leads you to 2 spacious bedrooms; both have private balconies with sea views and share a family bathroom with large corner shower. 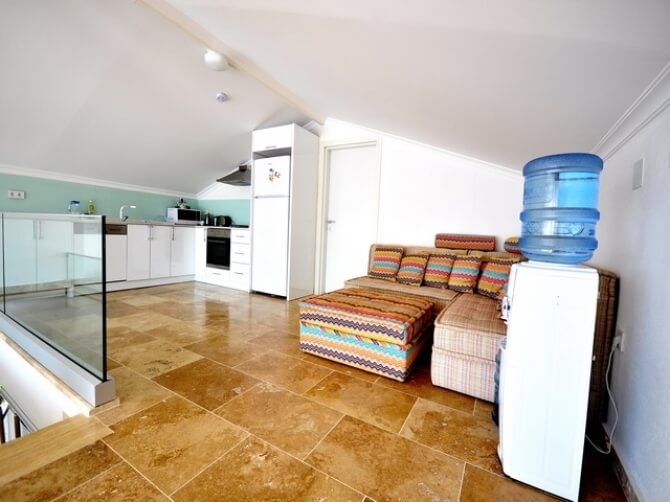 The attic floor is open planned with fully fitted kitchen with a dining area, which leads down a few steps to the lounge area, which has a complete view of the sea and Kalkan Habour. The third double bedroom with private en suite bathroom is on this floor. 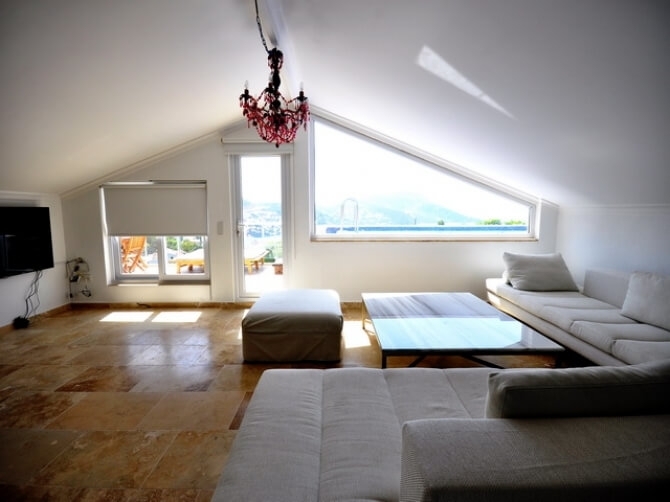 The attic level has a good sized swimming pool and sun terrace area with dining table and sun beds and unobstructed sea views. 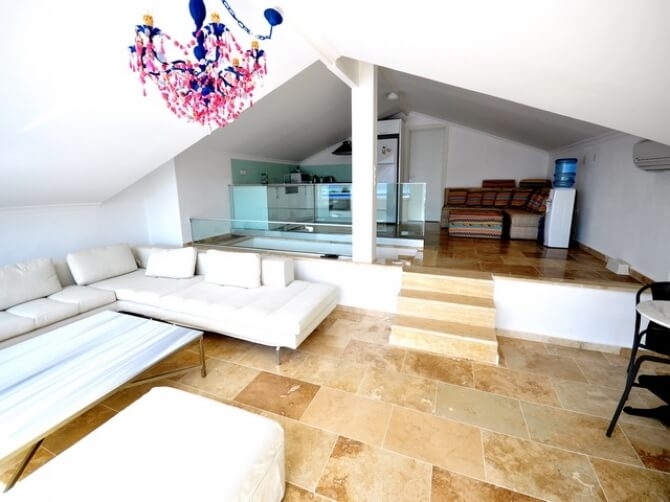 There is marble flooring throughout, under stairs storage, quality fixtures and fittings. Kalkan Town is just a few minutes walk away where you can find the most stunning rooftop restaurants, bars, and small boutique shops.